Our Team of Green building consultants and professional energy engineers is at the core of what we do at our Singapore Office in BroadTech Engineering. The new industrial purifying plant needed to guarantee safe air quality throughout the whole facility. Due to normative requirements, a triple system is required (climatic, ventilation and aeration). 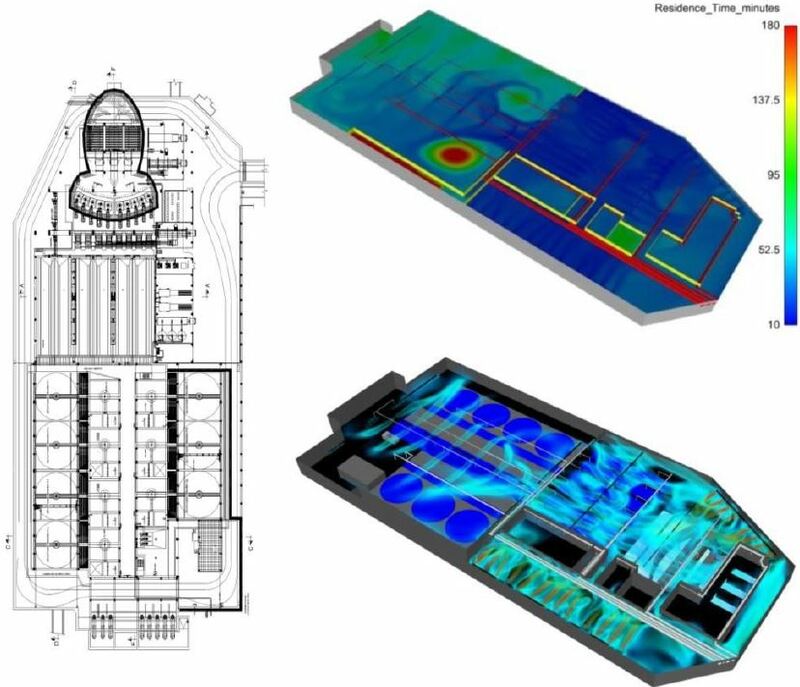 Different configurations for ducting, air flows, thermal temperature and humidity set-points and layouts were analyzed in order to reach the most efficient set-up in terms of air residence time and chemical dispersion levels. our client is building a new hotel tower in one of the windiest region in the country. 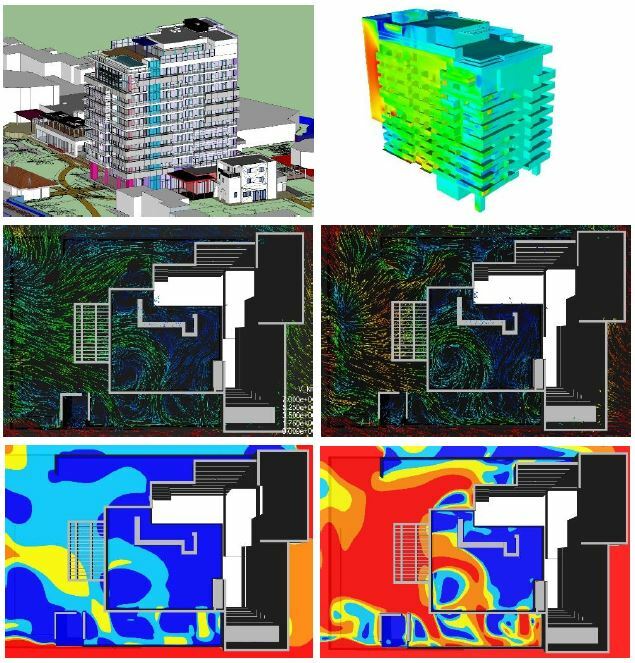 Initial terrace and balconies lay-out were analyzed for prevailing and extreme winds, spotting the regions affected high-speed currents, evaluating occupant thermal comfort levels and analyzing the impact of different proposed solutions (wind barriers, etc). Base on the energy audit evaluation carried out as part of our CFD consulting services, we can identify and propose areas and solutions for improvement in Building energy efficiency. This helps to build facilities owners and operators to implement energy and resource efficiency improvements innovations into their building development plans in the early design phase. ● Create a better indoor living environmental quality for better general health and well being of occupants. We assist in client consulting, proposal and report submission for Green Building accreditation Schemes by BCA. Achieving a Green Building accreditation provides a meaningful differentiation of buildings in the real estate market. It is a benchmarking scheme which incorporates internationally recognized best practices in environmental design and performance. We have experience working with building development on a range of building/development projects. ● Volume residential and multi-use commercial developments. We work closely with Ministries and Government bodies such as National Environment Agency (NEA) and Building and Authority Construction (BCA) which are deeply involved in promoting Environmental sustainability and Green Building development efforts in Singapore. Explore what Green building consultants can do for your company today by calling us today at +6581822236 for a no obligation discussion of your needs.